Technology has changed the way we live, communicate and conduct business. The ever growing addiction with smart phones and laptops only goes on to prove how dependent we are on gadgets. There is no dearth of options to choose from; new and better products are popping up every day introducing something new and better. HP is one such laptop brand that is known for consistently manufacturing competent and premium quality laptops in the market. We have compiled a list of top five HP laptops that offer the best of efficiency and convenience at really affordable prices. The slim, sleek and sophisticated HP Spectre x360 is a two in one laptop that features an aluminum- copper body that can endure short falls. The 13.3-inch screen sheds off all the unnecessary metal reducing the weight of the machine considerably. The device also comes with Intel 7th-Gen Kaby Lake CPU that is compatible with an i5 or i7 chip. Spectre laptops include 16GB RAM and 512GB of SSD hard-disk space that boosts the machine’s performance considerably. Spectre x360 ditches the huge square USB ports for the compact Type-C ports and Thunderbolt 3 support. There is no SD or microchip slot. 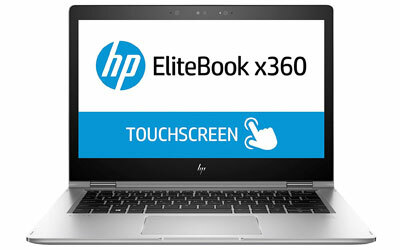 The display HD dual screen is vibrant offering 317 nits of brightness. Both the keypad and touchpad are very responsive and designed for long-term usage. The battery life of Spectre x360 is incredible and lasts longer than the latest MacBook! 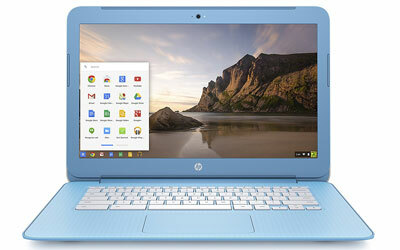 The Chromebook 14 is a mid-size device that great for multitasking and comes with a large 1080p screen. The laptop comes in light shades of white, gray and silver. The powerful framework is pretty durable while the ergonomic keyboard is perfect for consistent typing. The sleek compact body weighs just 3.8 pounds and can be carried anywhere easily. The 14-inch screen is pretty bright and displays clear cut vibrant and retina ready images. The Chromebook 14 comes with a security lock slot, an HDMI port, SD card reader, audio port and USB port. The 0.9-megapixel webcam though noisy clicks decent pictures. The powerful battery support usually lasts a whole day if fully charged. However, the best thing about the laptops is the incredible audio quality. Business laptops are usually considered to be extremely efficient but also a bit boring. Well, time to change that! The HP Elitebook x360 G2 is an elegant, aesthetically appealing yet powerful laptop that is perfect for large-scale companies and commercial sectors. The silver aluminum framework comes with a 13.3 inch 1080p wide touchscreen, a backlit keyboard, a sleek touchpad and a fingerprint reader. The device is pretty flexible and can be turned in any way (use it as a laptop, a tab, a screen or a tent!) thanks to the 360-degree hinges. You get all the standard ports, audio slots and even an SD card reader on the sides. EliteBook x360 is packed with security options, a fingerprint scanner, card reader, infrared camera, and vPro support to protect the laptop from unauthorized access. The robust, responsive and reliable HP Zbook Studio G4 is ideally suited for tech-savvy users and coders who require powerful working stations to run their heavy codes and files. The aluminum body features a shimmering lid and a sleek deck for easy handling. It weighs about 4 pounds and comes with a 14 inch HD screen for displaying clear cut images. The G4 model has every possible port you might need. You get an Ethernet jack, 2 USB 3.0 ports, an SD card reader, HDMI slot, Thunderbolt 3 connectors and audio port. The Sure Start feature solves all configuration issues and heals the system automatically. Also, the vPro program allows remote management of the laptop.The Bang & Olufsen speakers produce solid sound; you even get an application for creating your own playlists and profiles. 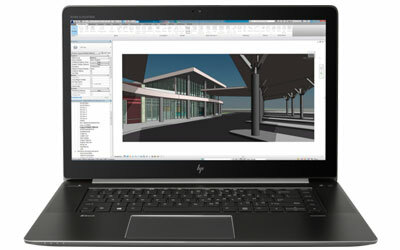 The HP Envy 13 is the latest addition to the long list of models manufactured by HP. The laptop is lightweight, attractive and powerful with its borderless display, 7th Gen Core Processor and 16GB RAM. The sleek silver body comes with a mirrored panel and flexible hinges that can be tuned at 178-degrees adding on to its versatility. However, there is a shortage of USB ports; the device doesn’t have a Thunderbolt connector and card reader. The touchpad and keyboard are ergonomic and comfortable for consistent use. The device also offers a powerful battery backup that can sustain the machine for 14 hours when fully charged. 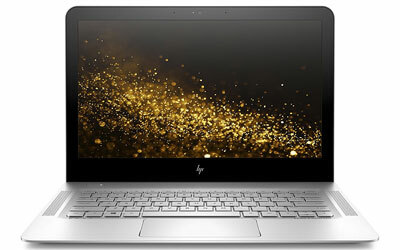 How to Choose the Right HP Laptop? 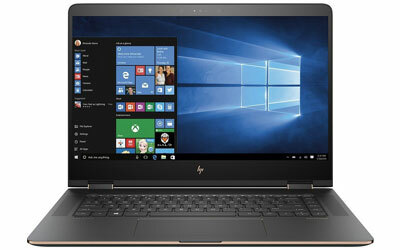 Spectre: HP Spectre models are by far the most popular laptops known for their lightweight construction, advanced features and efficiency. Envy: Envy models are known for their aesthetic appeal and amazing audio support. You get a wide range of vibrant shades to choose from. Probook: ProBook is a robust, rugged no-nonsense laptop that appeals to entrepreneurs and professional coders. Zbook: Zbook is best suited for professionals and tech-savvy users who want a powerful workstation with solid security. We hope this guide helps you pick up the perfect HP laptop; happy shopping.